Fall is our favorite time of the year. Once October 1st rolls around, our family goes into Halloween mode. From decorations to dessert and everything in between. Plus, it's my daughter's birthday month, so I wanted to make a tasty treat with her after school. My daughter LOVES to help in the kitchen. Not only is it a great opportunity for us to spend time together, but it's a fun learning activity too. She doesn't even realize the skills she is practicing, such as how to read a recipe and measuring ingredients. She's becoming a fantastic helper. My son's favorite part is pouring ingredients into the bowl whereas my daughter enjoys making simple recipes all on her own (or being in charge as I hand her what she needs). However, the kids hate when a recipe has a long baking or chill time. They want to taste their creations right away, or at least after supper. They do NOT like waiting until the next day. Can't say I blame them, but baking sure helps them work on patience. The kids (my son especially) love Eggo waffles – and not just for breakfast! 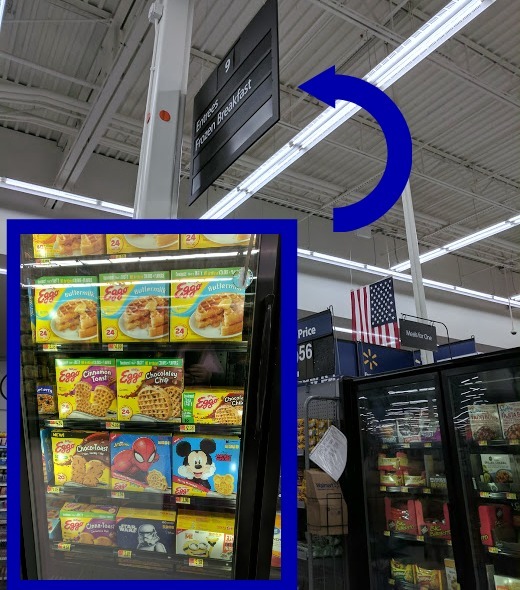 While I was shopping at Walmart, I wandered down the frozen breakfast aisle. 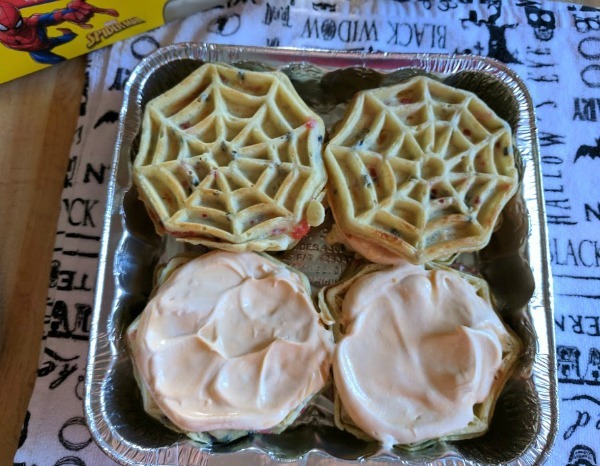 I spotted the Kellogg's Eggo Spider-Man Mixed Berry Marvel Waffles and got an idea for a Halloween themed icebox cake recipe. Delicious News! Eggo waffles and pancakes now have no artificial flavors and colors from natural sources. 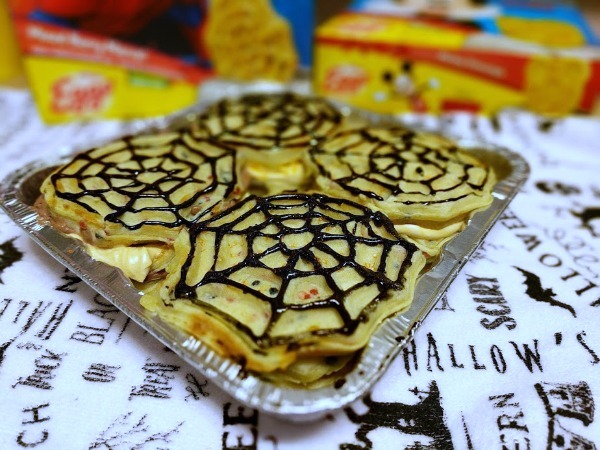 The spider-web shape was perfect plus icebox cake recipes are super simple to make. Even though we usually let ours chill for at least an hour, the kids can sample the treat immediately. There was even an offer in my Ibotta app which made it a total win-win for me! Toast four Eggo Spider-Man Mixed Berry Marvel Waffles and put them on the bottom of your dish. Mix 2 cups of milk with one package of instant chocolate pudding. * Let it set for about 5 minutes, then whisk in half of the thawed whipped topping. Toast another four Eggo waffles and place them on top of the pudding mixture. Mix 2 cups of milk with one package of instant butterscotch pudding. Let is set for a few minutes before whisking in the rest of the whipped topping. Toast four more Eggo Spider-Man Mixed Berry Marvel Waffles and place them on top. Chill your Spooky Icebox Cake for at least an hour. Before serving, decorate the top. 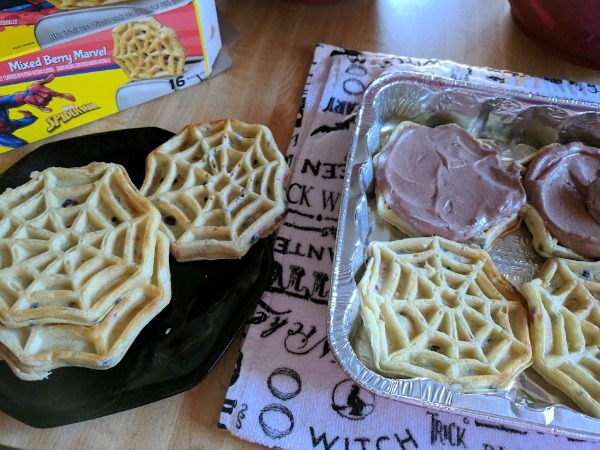 I used black icing to outline the spider-web shape. You could also draw a spider or use Halloween themed sprinkles for added fun. Hungry for more? Click to find more tasty inspiration for Eggo waffles and pancakes! 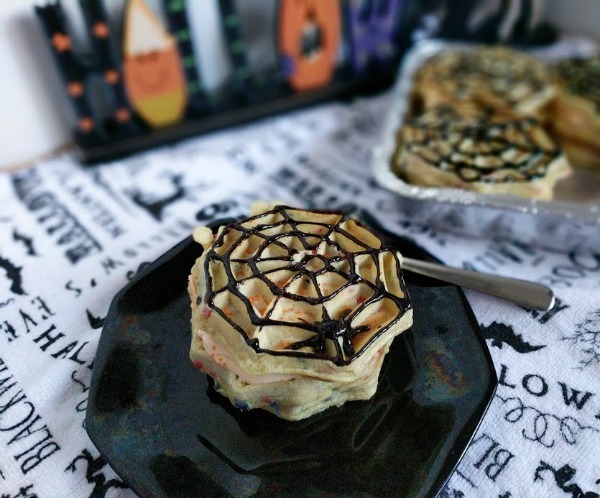 My daughter and I had a wonderful time working as a team to make this tasty No Bake Spooky Icebox Cake Recipe. With supervision, she used the toaster as well as helped mix and layer the ingredients. Then it was finally time for the taste test… and she loved the combination of flavors. 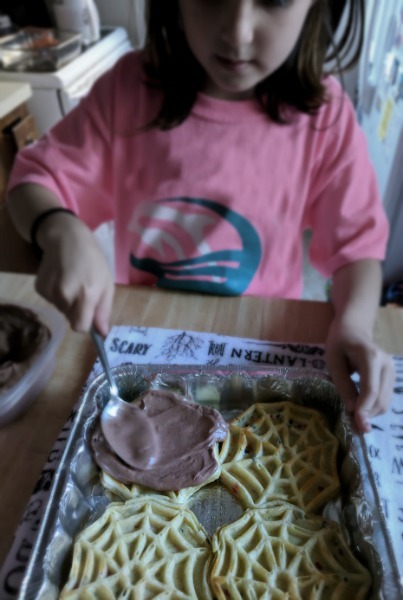 The pudding layers soften the toasted Eggo Spider-Man Mixed Berry Marvel Waffles, making it a yummy dessert. Mix 2 cups of milk with one package of instant chocolate pudding. Let it set for about 5 minutes, then whisk in half of the thawed whipped topping. Thanks, Adriana! The kids were delighted to see this fun spin on one of their favorite breakfast items.